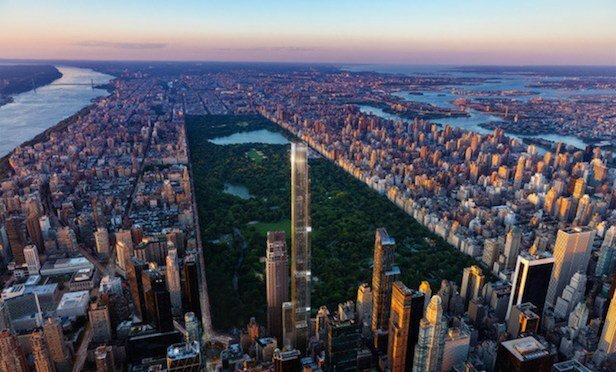 Central Park Tower will rise 1,550 feet high and will feature 179 luxury residences and a Nordstrom department store at its base. Credit: Extell Development Co.
NEW YORK CITY—Extell Development Co. has launched sales at what is dubbed the “tallest residential building in the world”—Central Park Tower. Demand may be at record levels, but limited supply is producing slow leasing activity.